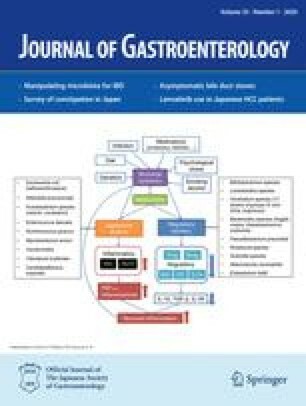 Helicobacter pylori infection is causally related to atrophic gastritis, and it may also be associated with peptic ulcer and gastric carcinoma. Eradication ofH. pylori is recommended in patients with such diseases, especially in those with peptic ulcer. A new potent proton pump inhibitor, E3810, had an antibacterial effect onH. pylori, as has been reported for omeprazole and lansoprazole, two other proton pump inhibitors. The minimum inhibitory concentration of E3810 was 1.57–3.13 μg/ml, lower than that of omeprazole or lansoprazole. To clarify the mechanism of the antibacterial effect of E3810, we analyzed the characteristics of E3810 binding toH. pylori. Scatchard plot analysis of this binding showed a curvilinear profile, indicating the presence of several molecules with different affinities to E3810 onH. pylori. The binding capacity of E3810 toH. pylori was calculated to be about 2×106 sites/cell. These results suggested that E3810 has an antibacterial effect againstH. pylori and that the effect may be mediated through direct binding toH. pylori.